I love pumpkin pie and make several every year throughout the holiday baking season. The creamy texture of a good pumpkin pie coupled with the warm spices of fall makes for the perfect seasonal dessert. But I don’t always make the same recipe every time I bake a pie using pumpkin. After all, a traditional pumpkin pie can get a little boring after a while – even if it is a very good one! 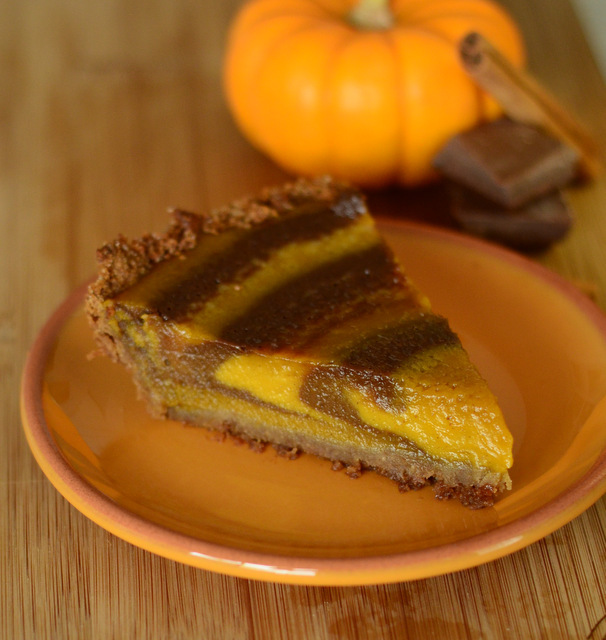 If you need a change of pace from plain pumpkin pies, I encourage you to give this Chocolate-Striped Pumpkin Pie a try. TheÂ eye-catching is striped with both classic pumpkin and chocolate pumpkin batters, so you get a pie that tastes even better than it looks. The pie starts with a traditional pumpkin pie filling. 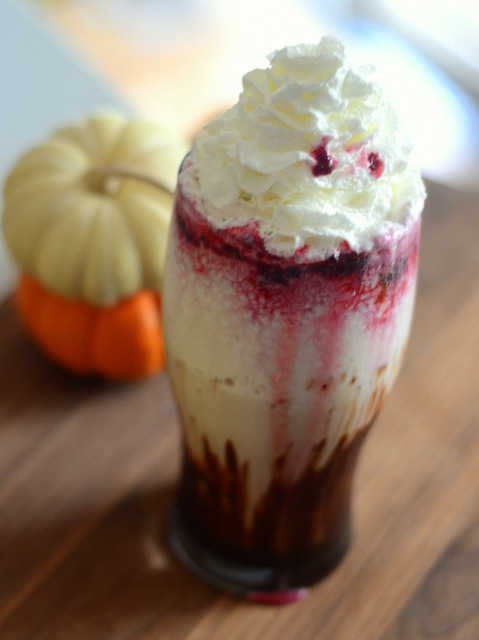 The filling is divided in half and chocolate is added to a portion of it. I used unsweetened cocoa powder, which turns the batter a deep chocolate color and brings in a bittersweet chocolate flavor. You don’t want to change the consistency of the batter too much, so a small quantity of cocoa powder is a better choice than melted chocolate because a smaller amount can deliver more flavor. The trick to this pie is in how the fillings are combined. First, pumpkin batter is poured directly into the center of the pie crust. Chocolate batter is poured directly into the center of the pumpkin batter. The chocolate batter will appear to push the pumpkin batter out of the way, creating a ring of pumpkin around the chocolate. This process is repeated a few times to make a pumpkin and chocolate bulls-eye pattern in the filling. Believe it or not, this design will hold its shape during baking, so every slice of pie will be striped! Don’t try to swirl the batters together and be careful when transferring the pie to the oven, just to ensure your results are as perfect as possible. After it is baked, the pie is a showstopper. 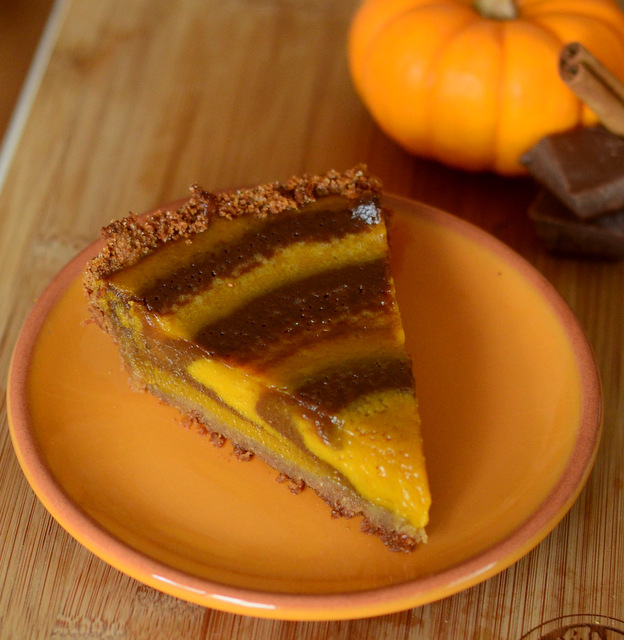 The rings of chocolate and pumpkin will look as if they were created magically in the baked pie and every piece will have neat stripes of both flavors. The pie is quite easy to make and it is just about guaranteed to get a big reaction when you serve it. If using a pastry crust, roll out pie crust on a lightly floured surface and press it into a 9-inch pie plate. Flute the edge, as desired. Chill until ready to fill. If using a graham cracker crust, place crust on baking sheet and set aside. 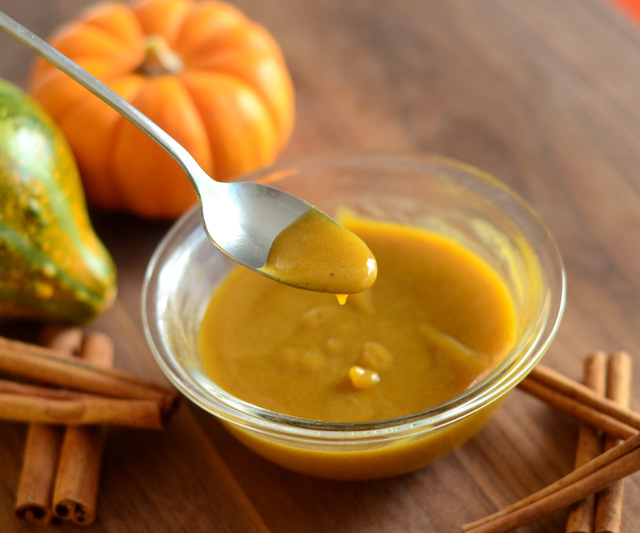 In a large bowl, whisk together pumpkin puree, brown sugar, eggs, pumpkin pie spice, vanilla and salt until smooth. Whisk in milk. In a medium bowl, combine cocoa powder and hot water, then whisk until completely combined. Pour half of the pumpkin batter into the bowl with the cocoa powder and whisk to combine. Pour about 1/3 of the pumpkin batter into the pie crust, aiming right at the center of the crust. Pour 1/3 of the chocolate batter into the crust, again aiming for the center. Repeat with remaining batter to make 6 stripes total. The batter will spread on its own. Do not attempt to swirl the batters together. Bake for 10 minutes at 425F. Lower oven temperature to 350F and bake for 30-35 minutes, until pie is set and jiggles only slightly when pan is gently tapped. Allow to cool completely before serving or refrigerating. Pie can be served at room temperature or cold.